Today Pakistan Tehreek Insaf organized a big Jalsa In KP city Abbottabad in which major leadership of PTI like Javed Hashmi and Imran Khan addressed. 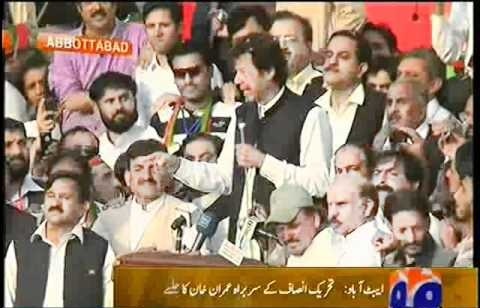 Large crowd was present at the Jalsa. 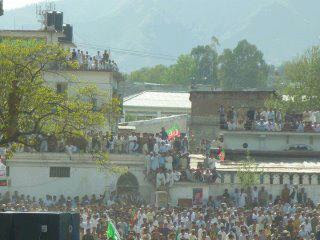 Even people from the Buildings outside the Jalsa Ground where viewing this huge Jalsa. 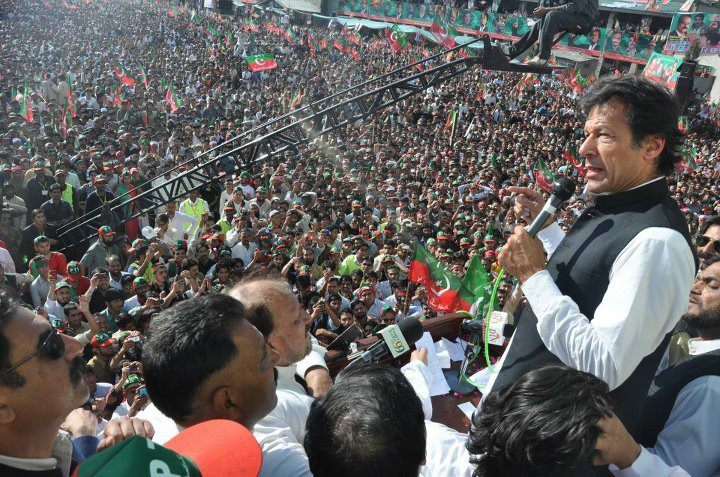 As usual media played disappointing role and not given much coverage to the Jalsa of Imran Khan. 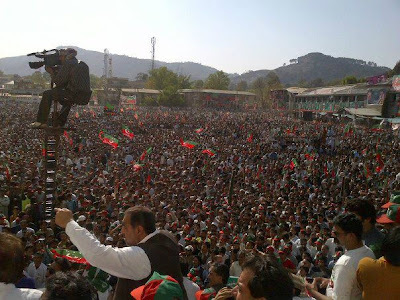 following we are presenting Photos Of this Imran Khan's Abbottabad Jalsa that taken place on Sunday.